Samsung is not just about smartphones and TVs. 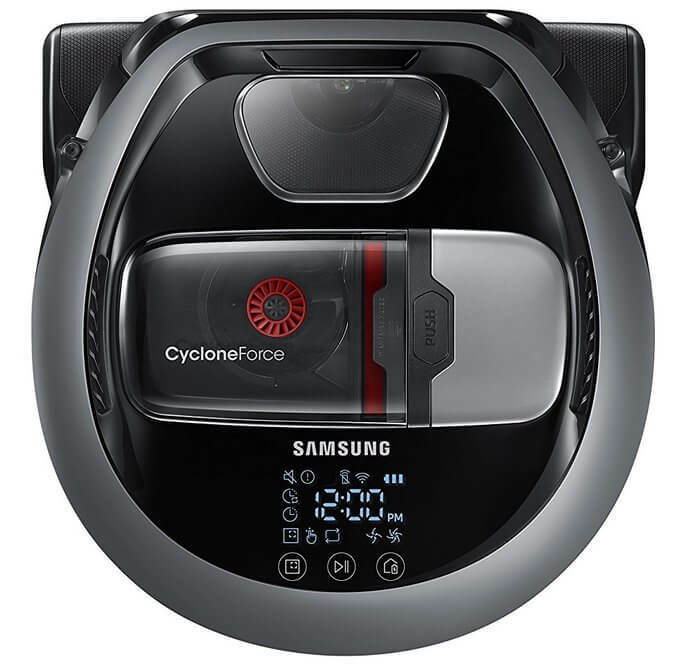 The electronics company is a giant in the home appliance market too and has been making Samsung robot vacuum cleaners for several years. In the Powerbot R7070, the company has hit a sweet spot of features, design, quality, and affordability that is hard to beat. Nestled nicely in the mid-range price point ($699), the Powerbot R7070 excels at cleaning. After all the amazing smart features on robot vacuum devices these days, it is hard to forget that first and foremost they must clean well. This Samsung robot vacuum is one of the very best at picking up hair and little particles of dirt that accumulate. Samsung knows about device integration from its smartphone division, so the Powerbot R7070 is easy to set up, manage wirelessly, and connect to other smart devices (with Alexa and Google Home support). There are always caveats, and in this case it is the height of the device, which is sometimes too tall to go under low furniture. Dyson is to vacuum cleaning what Apple is to mobile phones and Pixar is to animated movies. The company is an innovator and pioneer, and also a market trail-blazer. Indeed, while Electrolux gets the credit for the first robot vacuum cleaner in 1996, Dyson showed in 2001 how functional these devices could be, even if the prototype was never put on the market. Fast forward over 15 years and the company is one of the leaders in robot vacuum cleaners development. The Dyson 360 Eye is the company’s best effort, and it really is a wonderful piece of kit. It is one of the best on the market, especially in terms of cleaning as it hits those hard-to-reach places. 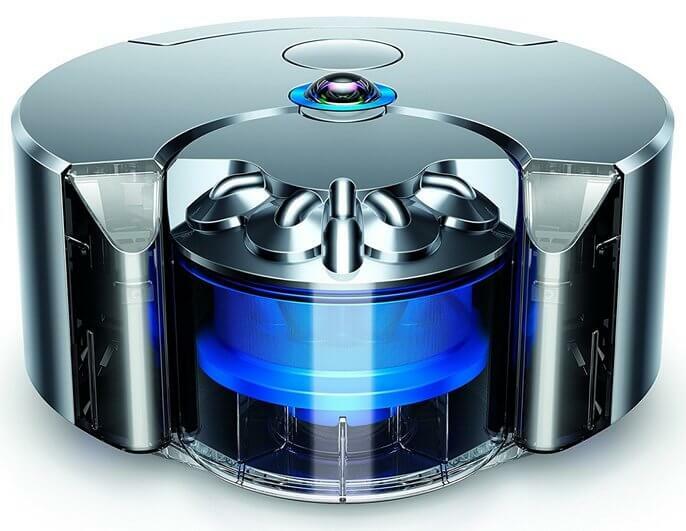 The 360 camera (it’s in the name) means the Dyson will navigate your house without hitting anything along the way. Futuristic and well linked to smart home devices, the 360 Eye can also be controlled by multiple smartphones. Unfortunately (time for an Apple comparison again), Dyson prices its products very high simply because it can. At $999, it is hard to justify the extra cost next to an all-round winner like the Samsung POWERbot R7070. While Dyson is an innovator, it is iRobot that is best-known for robot vacuum cleaner devices and is the market leader. The Roomba series has been available since way back in 2002 and was the first mass-sold robot vacuum cleaner. Closely matching the Samsung Powerbot R7070 in price ($699), the Roomba 960 is the latest and greatest in this famed range of products. Despite lacking the 360-degree capabilities of the Dyson 360 Eye, the Roomba 960 is a good navigator and moves around a room with ease. It is also one of the quieter robot vacuum gadgets we tested, which could be a very important factor for some. Like others on this list, the Roomba 960 integrates well with smart home systems like Alexa and Google Home. We particularly like the feature where the device will show a map of its cleaning activity. However, there is one unfortunate aspect of the technology features: it is not possible to manually steer the vacuum with your smartphone. 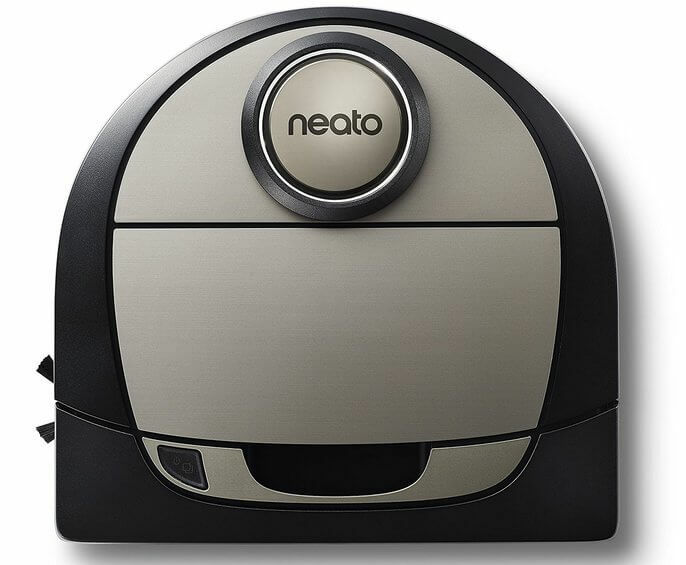 The clear advantage of the ECOVACS DEEBOT N79S is that it is hugely affordable automatic vacuum compared to others. 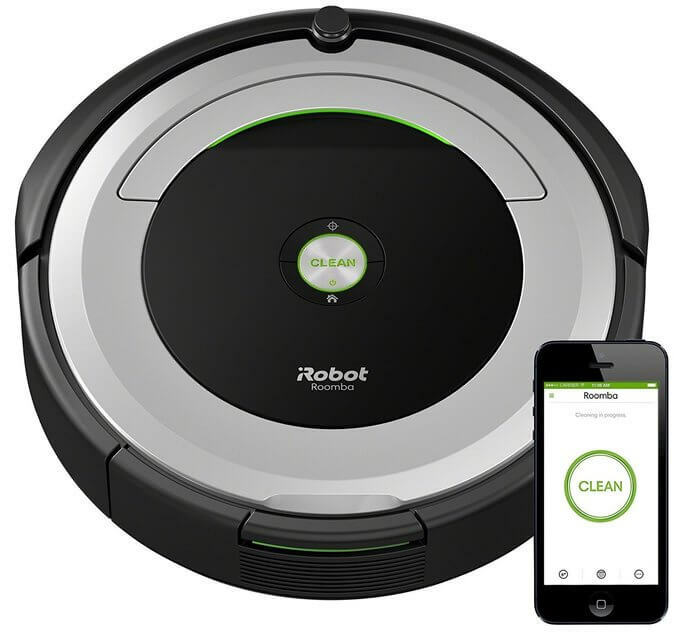 At just $220, it is hundreds of dollars cheaper than the robot vacuum cleaners listed above. Of course, just being cheap does not mean anything if the device itself is not good. Luckily, there are no worries with the DEEBOT N79S as it checks many boxes. No, it will not clean as well as the examples above, or even navigate as well, but it will offer a good cleaning experience. 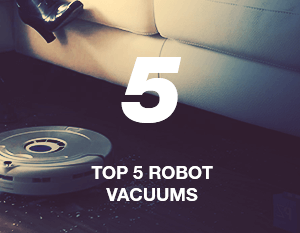 That’s because the suction on the robot vacuum device is very strong – the sort that makes you wary of touching it. For its humble price, the DEEBOT N79S is also technologically capable with Alexa integration for smart homes (sorry, no Google Home yet) and it can be controlled from a smartphone app. We mentioned that the N79S will not navigate as well as more expensive automatic vacuum devices and that leads to the vacuum bumping into things more often than we would like. Setting the vacuum up for Wi-Fi connection was also needlessly convoluted – we like simple one-touch connections. The big selling point of the Botvac D7 is that it is smarter than other robot vacuum cleaner devices – or that’s what Neato says. We found this is mostly true as it puts technology at the forefront of the experience. For a start, it is possible to set virtual boundaries within the smartphone app for the cleaner to navigate within. Speaking of navigation, the Botvac D7 Connected is excellent, moving easily around obstacles. The accompanying application is among the easiest to use with a simple UI which also includes very detailed cleaning maps once the vacuum is finished. Taking the smart features further, the Neato is the most integrated robot vacuum we tested. The device links with Alexa, Google Home, IFTTT, Apple Watch, and many more. In fact, with the Apple Watch you can control the bot from your wrist – how cool is that! In pursuit of technological wonders Neato forgot about some core abilities, which is why the bin is too small and the robot vacuum cleaner is very loud. There are so many gadgets to digitize your home available these days, so why not taking advantage of this opportunity and ease up your everyday routine? The best robot vacuum is a great way to do that. 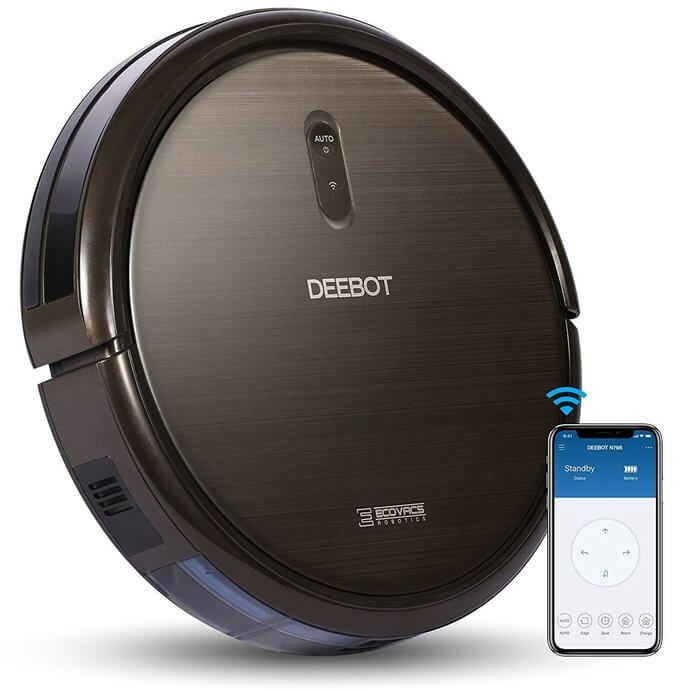 Tags: automatic vacuum, best robot vacuum, best robot vacuum cleaner, Dyson 360 Eye, ECOVACS DEEBOT N79S, iRobot Roomba 960, Neato Robotics D7 Connected, robot vacuum, robot vacuum cleaner, robot vacuum reviews, Samsung robot vacuum, Samsung POWERbot R7070. What a great website! So much great information about vacuum.